It looks like Optimus Prime isn't the only character with two vehicle alt modes. The 1967 Chevy Camaro SS is not Bumbleebee's only vehicle alt mode for Transformers 4. Today MichaelBay.com has posted his other more modern look. "Trumpets please . 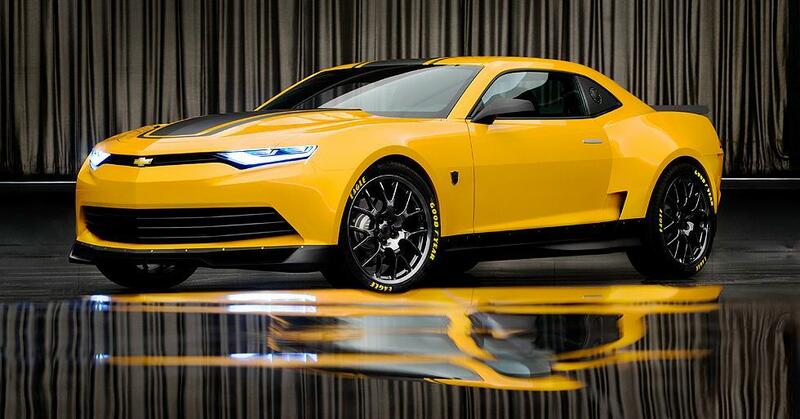 . . Bumblebee, a 2014 Concept Camaro! . 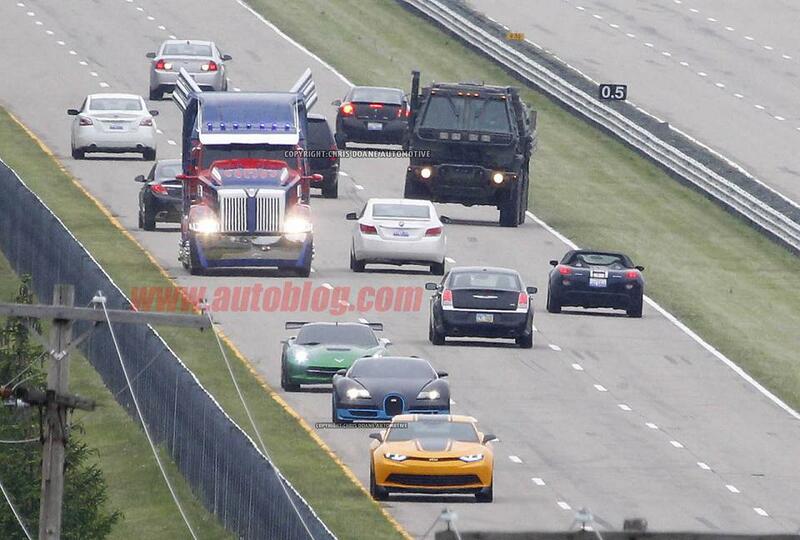 . . the final jewel in the Transformers 4 crown. High resolution image: http://bayhem.com/18tH0jv"
The reveal is well timed as the vehicle has already been spotted filming at the General Motors proving grounds facility in Michigan. 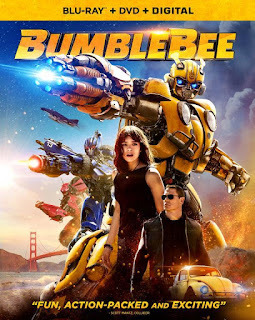 Based on the above notes and select pictures from Autoblog.com, it seems the core Autobot characters are Optimus Prime (Western Star truck), Bumblebee (2014 Camaro), 2014 C7 Corvette Stingray, 2013 Bugatti Vitesse, and Hound ( Oshkosh Tactical Vehicle). The rest of the photo set is here. Thanks to Wynton R. for the link. Update: Added the video that the pictures were taken from. Wow, I did not expect this. I do like the new car, but I don't like the headlights. I wonder how this is gonna go. Are we going the same route as the first movie?? Would be lame, I hope they thought of an awesome idea to explain the transition from the one to the other altmode. I admit, I did not see this coming! There is one problem with this car though, the lights on the front and back of this car is ugly as!! It looks like it is suffering from 'Normal Camaro Lights' (NCL) syndrome! Yes indeed, the taillights are just ugly as hell! More ugly than the headlights. From the side the headlights look awesome, but from the front they don't. Maybe it takes a while to get accustomed to and maybe when we see the movie it looks better or even good. I seriously doubt that! The reason is we are already used to the round head lights of the Camaro, infact the lights were one of the main physical features that distinguishes from the rest of the cars! Now with this model, it looks like a regular car! Dude, well, you never know. Sometimes a new look can grow on you. It has nothing to do with what you are used to. It has to do if a new look can impress you. 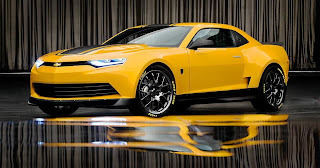 Problem with this new look is, it is not a retro look anymore, the one thing that made the new muscle cars like the latest Camaro, Challenger and Mustang, populaire. This concept is, just like you said, to rounded, indeed ljust like regular car. It has almost no grill between the headlights. A muscle car has to have grill. Small headights can work, but make them with sharp edges near the fenders. For the rest I'm with you, BB in DOTM looked the best, with the angel-eyed headlights, that's just awesome. But I never was impressed by the taillights also, they could be way better. Something tells me if they take anything away from TF: Prime, maybe Ratchet isn't dead and is always back at their base. 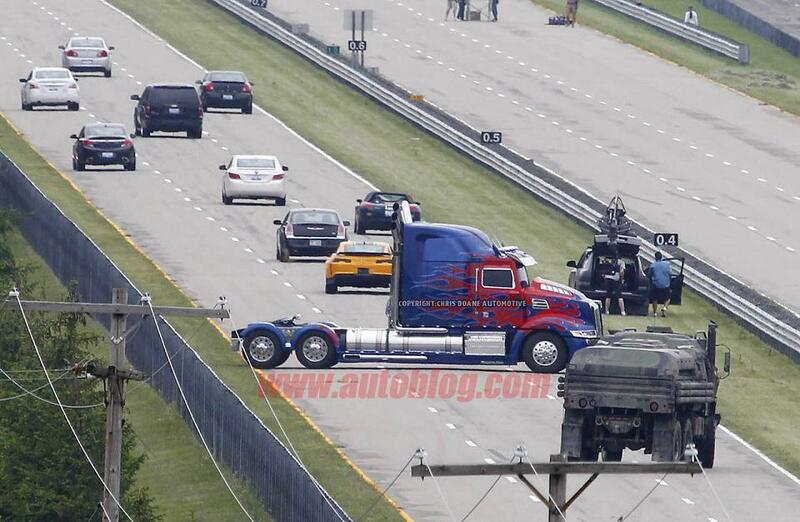 There has been an ambulance spotted in some of the pictures with Optimus Prime and the C7 Corvette it is on this site somewhere. I presume that is Ratchet. Yeah, I saw the pictures too! Ratchet isn't dead! I am 100% sure! Also,i think with all these new Transformers coming in, it will based on more about them and their history, then the human cast. You guys are tools to think the ambulance is Ratchet. It is NOT Ratchet, it is there only for precaution, when an accident happens on a stunt, the ambulance is there for first aid and bring them to a hosptial if needed. Some guys see in every vehicle a Transformer. "Final jewel in the TF4 crown" ???? So does that mean no more autobots to be unveiled then ? Ahhhhh cr@p !! What about grimlock & swoop ?!?! If they're in the line-up then I realise they'll be full CG but it'd be nice for Bay to leave a little suspension re: possible characters. Still holding out for an Arielbot..... perleeeeeeeeeze !! What about an Autobot gestalt ? and no I don't mean I want to see Skids or Goof-flap again... ever !! 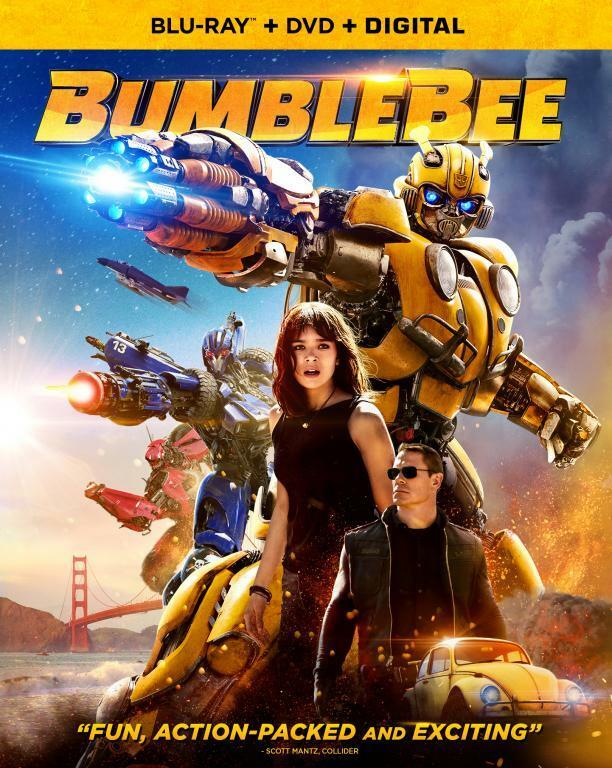 Those headlights on BumbleBee, make me think he will look like his Transformers Animated form. Yeas,h you are right! Ratchet is still alive! If you think about it, Autobots need a Medical Officer or else they would be obviously screwed! Unless of course there is an Autobot who can fill his shoes. Guys, i also found out that the Autobots that were inside the Ark in DOTM, have been revived from their deaths and apparently Hound is one of them. 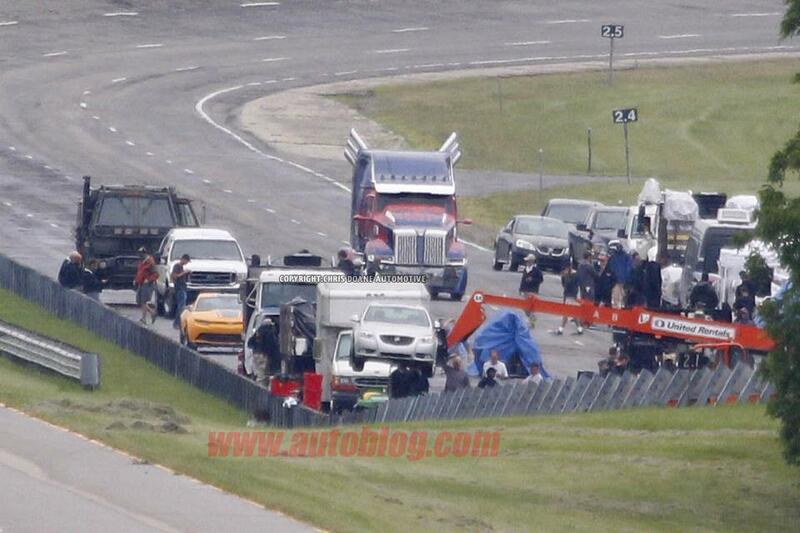 Cool well I hope they have a scene where Prime explains to Hound what Sentinal did..
That probably was to get to a road nearby, where a stunt was going to take place and they all drove the cars there instead of riggingg them all on the trucktrailer. Why would there be a regular normal looking ambulance that has no customizing whatsoever, be an Autobot?? At least the Hummer was an awesome customized car. Ratchet has to be cool a customized car, not just a normal looking ambulance. The Autobots won't be screwed, if there was no medical officer. Yes, obvious they need one. But did Ratchet do any medical repare in the movie?? No he did not. It's about time we see Ratchet do that actually in the movie, like repairing Bee's voice. That'll be cool to see in the movie. If Bay is going the route of TF: Prime, maybe Ratchet is in robotomode on the TF base the whole movie? Good point, I can already see roadbuster saying "Eh Prime, I got a present for ya mate!"